Arkham Horror: The Card Game has enthralled players around the world since its release last year, serving them with unique experiences and chilling memories as they dive into the conspiracies and mysteries of Lovecraftian Horror. 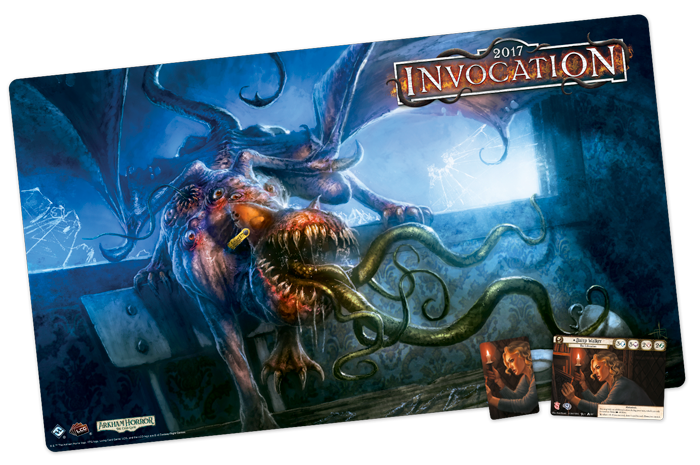 Join us on December 16 as we play the 2017 Invocation, kicking off a new format and giving away some cool alternate art cards, playmats, and more to each participant. Each Invocation Kit includes four Daisy Walker alternate art cards, four Daisy Walker tokens, and four gorgeously horrific playmats featuring Eixodolon’s Pet. One of each of these prizes should go to every attendee of your event. Pre-register is open below either individually, or for a full table of 4 players. If you register for four, you are declaring that you would like to game with a specific group. We will provide seating for your group, event kit contents, and a primer on how to play; you provide the players. In addition to the fantastic prizes, Invocation Kits offer a new twist to Arkham Horror: The Card Game gameplay: Ultimatums. With these, you can challenge your most experienced players, forcing them to reevaluate strategies and discover an entirely new level of madness. Before players begin play, whether it be a single scenario or an entire campaign, they must choose one or more Ultimatums. Each Ultimatum is a restriction, limitation, or additional rule that makes the game harder for that group of investigators. Groups are not forced to choose any particular Ultimatum, and the choice of which Ultimatum(s) to enable must be unanimous among all investigators in the group. Once enabled, the choice is permanent throughout the duration of the event. With these new tools at your disposal, you can shake up weekly events and challenge your most veteran investigators! Ultimatum of Dread: Do not skip the mythos phase during the first round of each game. Ultimatum of Chaos: Each player’s starting deck of 30 non-signature, non-weakness cards must be selected at random from among all eligible options in that player’s collection. Ultimatum of Induction: Investigator decks can only contain level 0 cards. Investigators cannot earn or spend experience. Ultimatum of Finality: Campaign Mode only. If an investigator is defeated by physical damage, they are killed. If an investigator is defeated by mental damage, they are driven insane. Ultimatums are a great way to give players a new experience or start a weekly campaign. 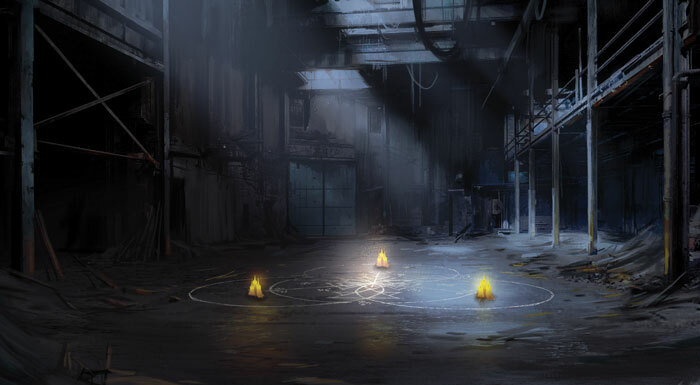 However, if you decide to use the Invocation Kit to draw in newer players, do not introduce them to Ultimatums until they’ve become hardened investigators!